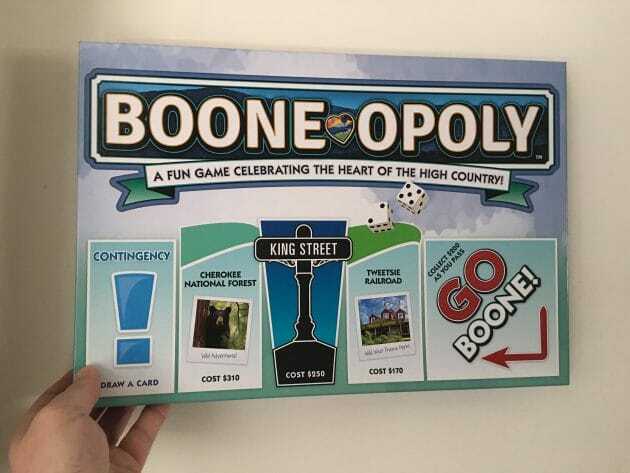 Boone is now the latest town to be the featured location in a board game. 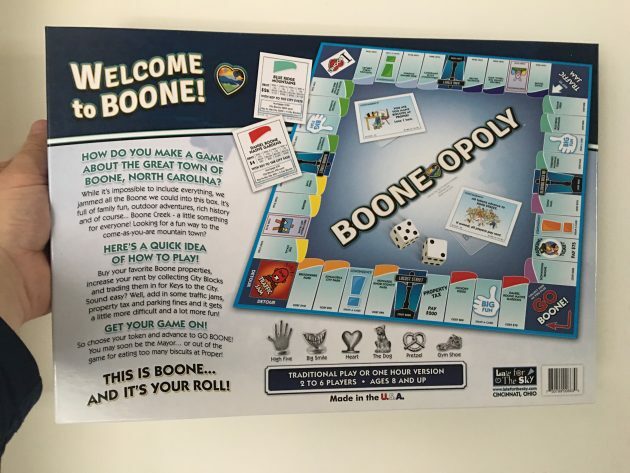 BOONE-OPOLY recently became available to purchase and now joins other cities in North Carolina and across the country to be featured. The game is available at the local Walmart location. 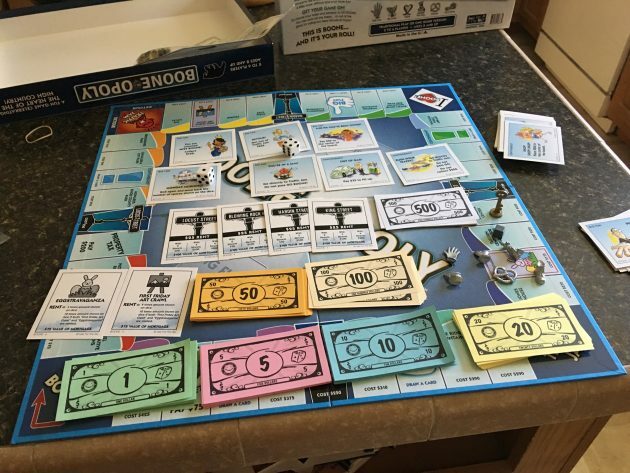 The maker of BOONE-OPOLY, Late for the Sky, recently told WataugaOnline.com exclusively how the game came to be. “BOONE-OPOLY is the newest game to hit the Walmart shelves. 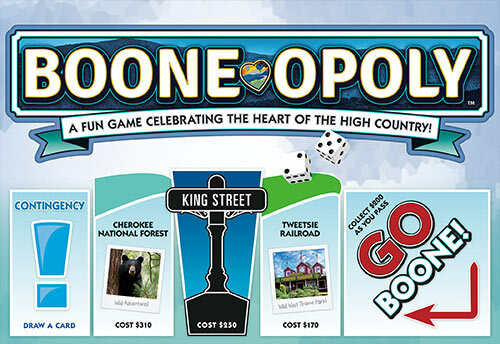 Created and released in February 2019, the game showcases favorite landmarks and most well-known parts of Boone, North Carolina. People outside of North Carolina may know little or nothing about the Kidd Brewer Stadium or the Turchin Center, but if you’re from Boone, it’s a big deal. 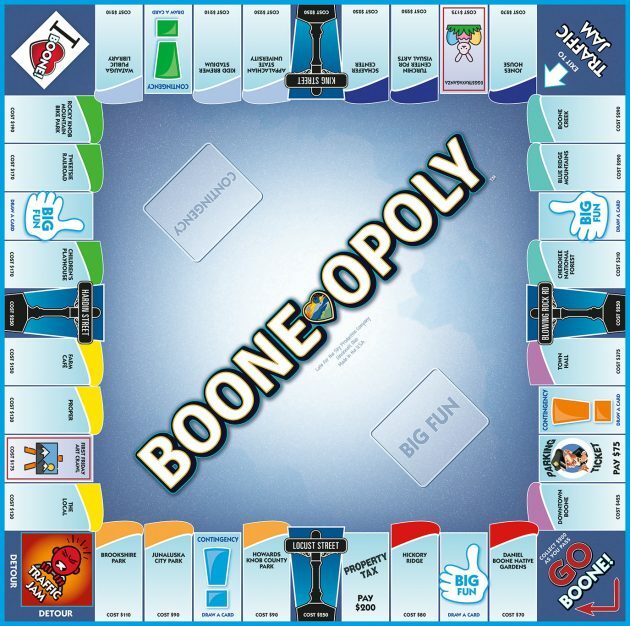 BOONE-OPOLY is sure to be a hit with everyone who lives in or loves Boone. The games are launched exclusively at the local Walmart stores in the Boone area.”, according to Bill Schulte one of the owners of Late for the Sky Production Company. “We research several cities and communities around North Carolina to make a very localized game about a specific area. We always make sure that the locals love their town before we take on a project. We make the content as authentic as possible. To reach as many people as we can, we launch the sales exclusively at the local Walmart store. Naturally, Walmart likes to connect to their local customers and everyone appreciates the fact that the games are made in the USA. Several other North Carolina cities are on the drawing board for development and manufacturing.” Schulte also noted. Jessica Staub, also with Late for the Sky, tells WataugaOnline.com that Boone joins other North Carolina locations that have games based on them. She says that Charlotte, Jacksonville, the Outer Banks area, the Crystal Coast and Raleigh are the other locations currently and the company is working on more this year. A link to all of the city games can be found here.